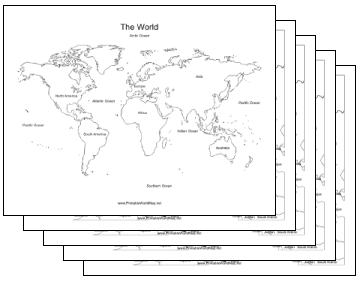 The Continents labeled map Collection contains labeled versions of maps of The World, Africa, Asia, Australia, Europe, North America, and South America, each with oceans and national boundaries. (7 maps in all.) Each of the countries and continents are labeled.